Each person that seeks to engage in a health and fitness journey participates for a different reason. Some are seeking a finish, some a PR in time and/or distance and others are out to experience something new that has been unattainable prior to now. As a coach, I customize training plans based on the person’s why. It is of extreme importance to analyze the why on a regular basis to ensure that the ultimate goal stays in sight. I embrace the journey one day and one step at a time. Kim began her coaching career in 1993 as an assistant high school soccer coach while attending the University of Colorado and playing soccer for Women’s Club Program. She continued her involvement within the soccer community at various levels coaching players from youth through high school until 2007 as a Level C State Certified Coach. In 2008, Kim’s focus shifted from soccer to running when she became a mentor with the Kids Running America Ultra Distance and Marathon programs. Kim’s three daughters have been actively involved in this program and reached the finish multiple times. In 2013, Kim decided to dream bigger by amplifying her own training goals. Since then, she has completed several half marathons, marathons, sprint and Olympic distance triathlons as well as Ironman 70.3 and Ironman 140.6. Kim’s coaching programs are focused on assisting athletes of all ages in achieving cycling, running and triathlon goals while adopting a healthier lifestyle. 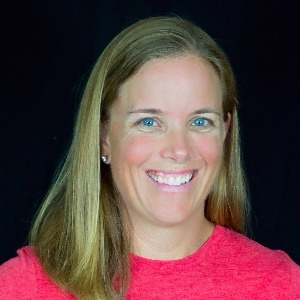 She has completed her USAC3, epi Triathlon Coaching Certification, ACE Personal Trainer Certification and participates in continuing education to grow as the community grows. Success. Coach Kim Welk has been notified of your message. To hire Kim Welk as your coach, select the coaching service that is right for you.